Set sail on the vast blue waters of the Caribbean in search of adventure, fortune, and fame in the world of the infamous Jack Sparrow and the evil Jolly Roger. In Pirates of the Caribbean Online, play alongside thousands of others and discover new myths and untold stories. Forge alliances, hunt for buried treasure and battle evil undead forces by using cunning and strategy to outwit your foes all to become the most notorious pirate on the high seas. Penniless and imprisoned, your life as a pirate is launched when Jack Sparrow helps you escape from jail. You learn the basics of survival early -- swordplay and cannoneering and learn to navigate the Caribbean, its seas teeming with the supernatural and the sinister. Every sail on the horizon marks a possible enemy, and every port town is filled with shifty citizens. Master the mystic arts of Voodoo and use it to aid your friends and defeat your enemies. The power of Voodoo is at the command of Jolly Roger as well, but he uses it to bring the dead back to a mockery of life - animating the skeletons of long dead pirates whose fighting skills remain very much alive. The undead stalk the land and crew their own rotting yet deadly ships at sea. You'll need gold to survive. Luckily, there are games to be found in most taverns -- the poker and blackjack tables await. Nothing in Pirates of the Caribbean Online comes without a price, and you'll find yourself on Quests as you strive to increase your notoriety. No one but you has your survival in mind, so train hard with your weapons -- your cutlass, your dagger, your pistol, your grenades -- they're the only thing between you and defeat. If you've a mind for it, dabble in Voodoo and fight with hexes as well as steel. Find a ship and crew it with your Friends to begin your adventures on the high seas. When the time is right -- when you're strong enough and rich enough, that is step up to a bigger, more powerful vessel. There's a hull for every taste. 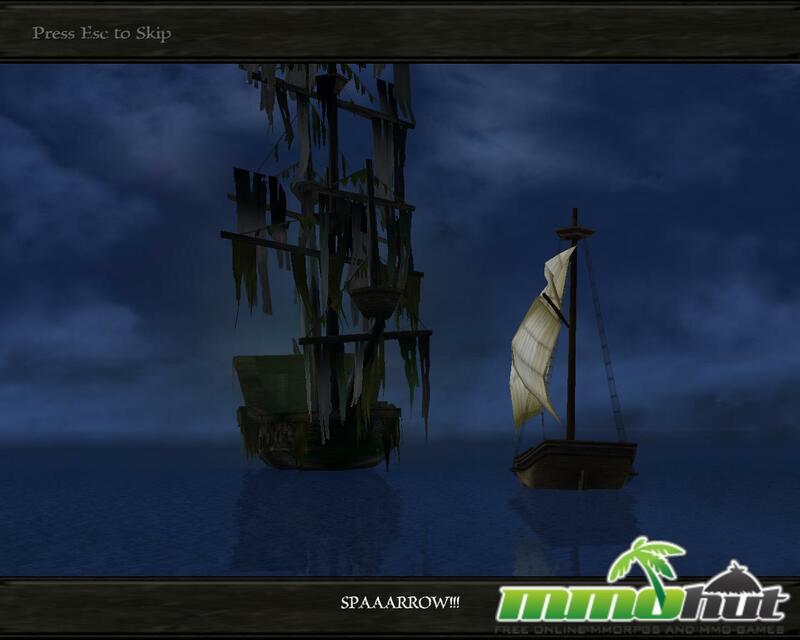 Sloops are renowned for their sheer speed while Galleons can accommodate large amounts of cargo. Frigates are built for battle, ramming hulls, and blasting out broadside after broadside from their heavy cannons. Run from them or get one for yourself. With your increasing skills, your Notoriety will grow, but beware! Treachery and deceit lie at every point of the compass. As Jack Sparrow well knows, even the most minor encounters can have far-reaching consequences. This game has the ability to see a great movie, and then go live it online. Here's the opportunity to really be a pirate! It's the adventure of a lifetime! This F2P MMO invites you to make your own pirate captain, assemble a crew and live the legend of a notorious pirate! oh, ok 🙁 I thought that maybe they were bringing it back is why I asked.